Considering moving to Washington D.C., California, New York, Hawaii or Massachusetts? You may want to reconsider your plans after reading this post. These are the most expensive states to live as of 2019. Add credit card debt to the equation, and millions of consumers in these states are projected to file for bankruptcy over the next year. Today’s article explains the three best credit card relief programs to help consumers avoid bankruptcy. First off, let’s look at a few statistics. The most expensive state to live in the nation is Washington D.C., as of 2019. To be able to afford to live in Washington D.C. a person needs to make at least $8,487 per month. California is the second most expensive place to live in the nation. On average, Californians need to make $8,313 per month, just to be able to live in the state. The median price for a home in California is more than $540,000 and the median rent is nearly $3,000 per month, according to CNBC. In general, everything seems more expensive in California. Hawaii, New York, and Massachusetts are the third, fourth and fifth most expensive states to live in the nation (in that order), where you need to make over $7,000 per month just to live in these states. 1. California debt settlement programs – offer you a way to reduce your unsecured debt balances. For debt settlement programs to work, a person must be delinquent on monthly payments. Accounts eventually get written off by the original creditor and sold to a debt collection company. At that point, debt negotiators can settle your debts for around half the balance, before fees. Before using debt settlement, first consider this next California debt relief program on the list. 2. Debt validation – lets California residents challenge each of their debts that are with a third-party collection agency, justlike how a person fights a speeding ticket and gets it dismissed. However, when fighting debt there are more laws available to use. You can force creditors to prove they are abiding by as many as 14 federal laws, including the Fair Debt Collection Practices Act, Credit Card Act of 2009, Fair Credit Reporting Act and the Fair Credit Billing Act are a few examples of the most popular laws used with debt validation. 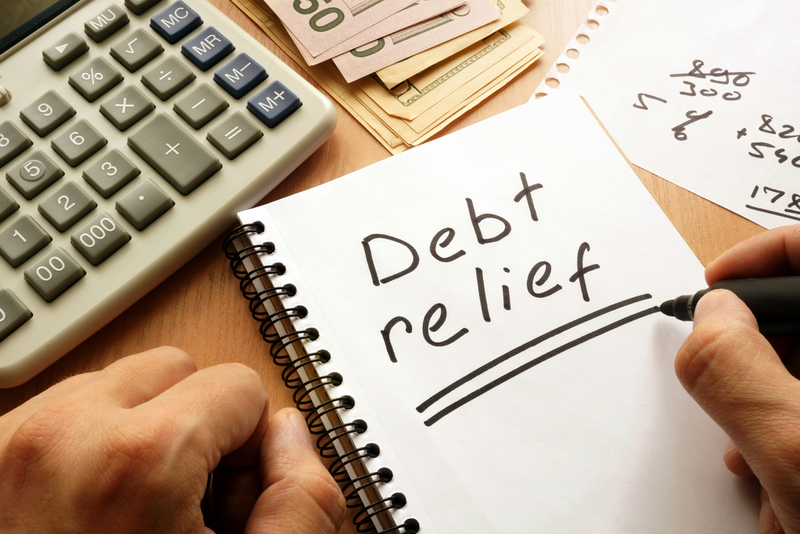 Even if the debt is proven to be valid, a person can still use debt settlement as a second debt relief option. If the debt is invalidated, in this case you don’t have to pay it and the debt comes off a person’s credit entirely in some cases. Both debt validation and settlement programs will result in credit scores getting negatively affected over the first year of the plan, but in some cases with validation in the end the debt will get removed from all credit reports. 3. Consumer credit counseling – the only California debt relief program that lowers credit card interest rates without negatively affecting a person’s credit score. With consumer credit counseling, you pay all your debt back but less in interest. The downside is that your payment stays around the same as when paying minimum payments on your own. Why use consumer credit counseling if you live in one of the most expensive states in America? You can become debt free in around 4.5 years, versus, having to continue paying minimum payments for 5+ years on your own. Once you are debt free, now you’ll be able to use that extra money that you had been putting towards paying minimum payments, to put towards paying your normal living expenses.